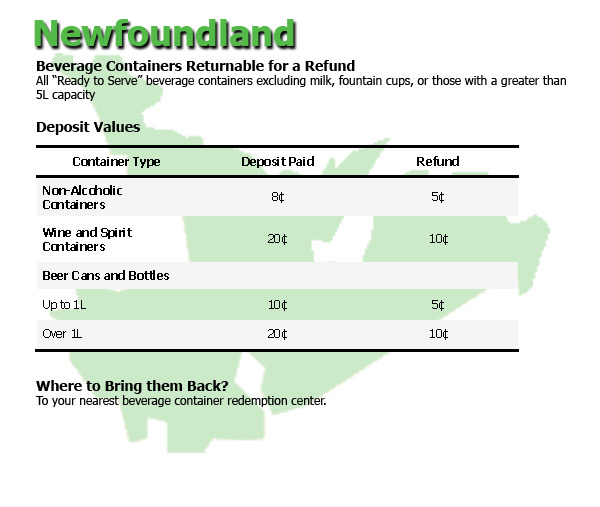 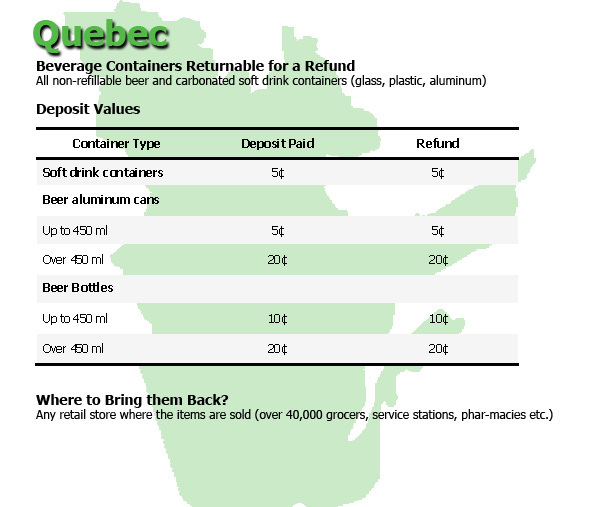 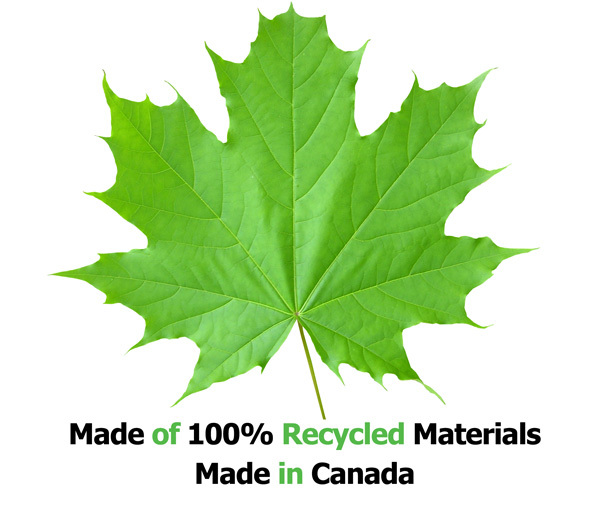 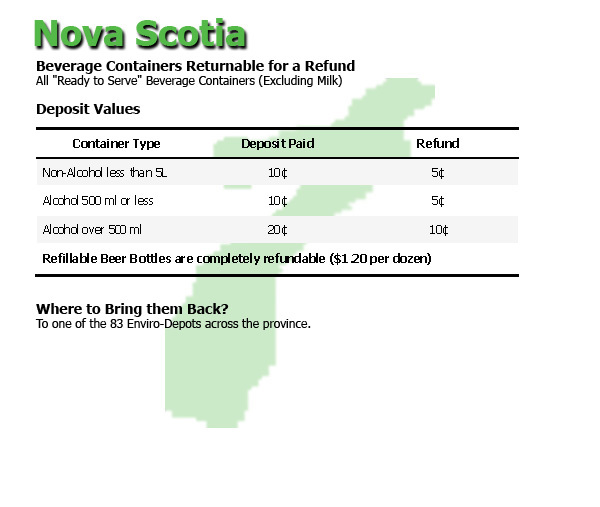 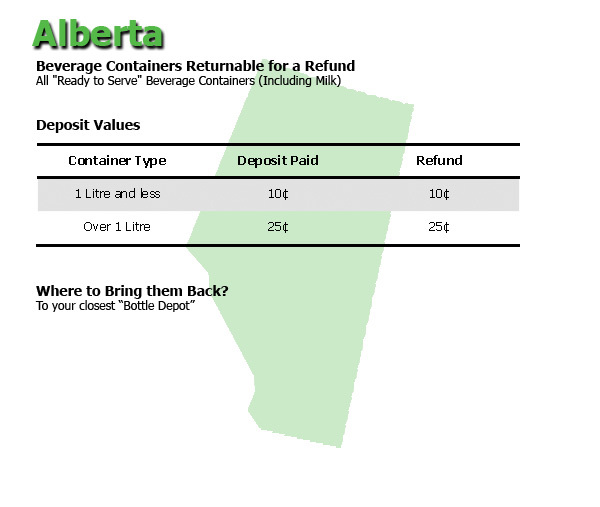 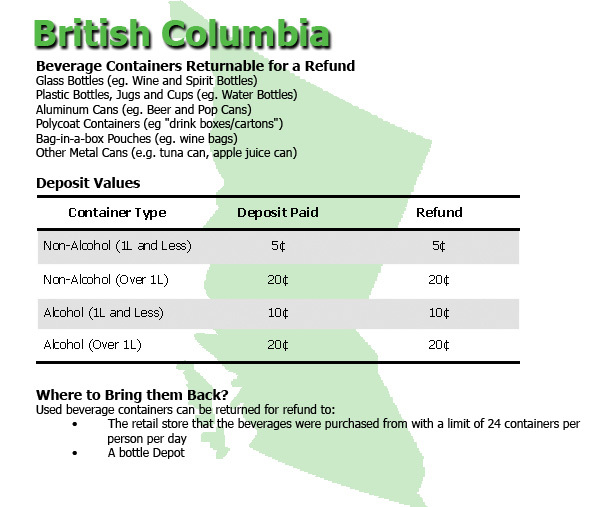 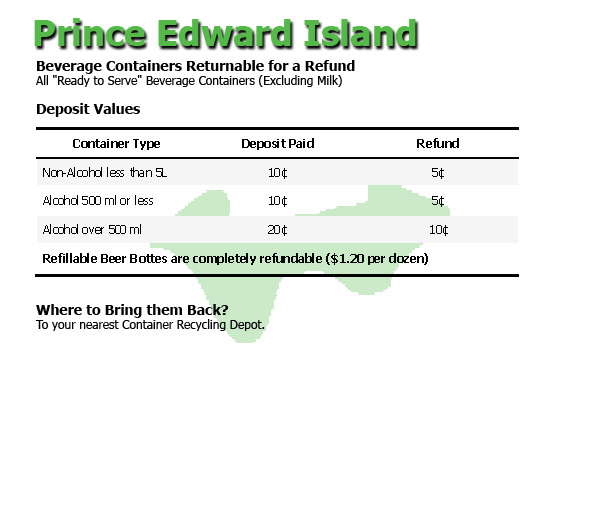 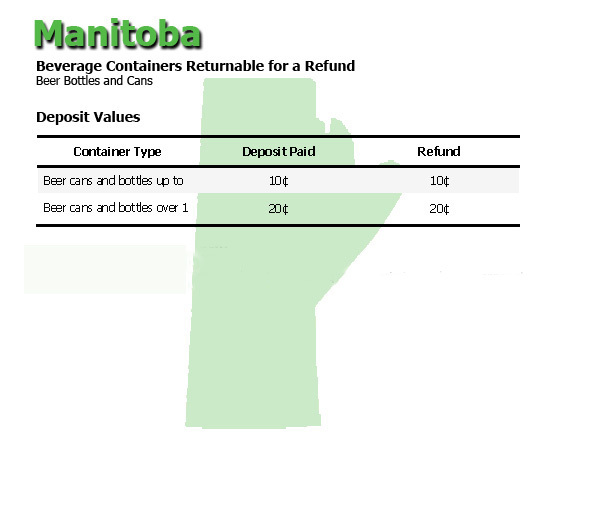 All across Canada, we have container deposit systems to encourage bottle recycling and reuse. 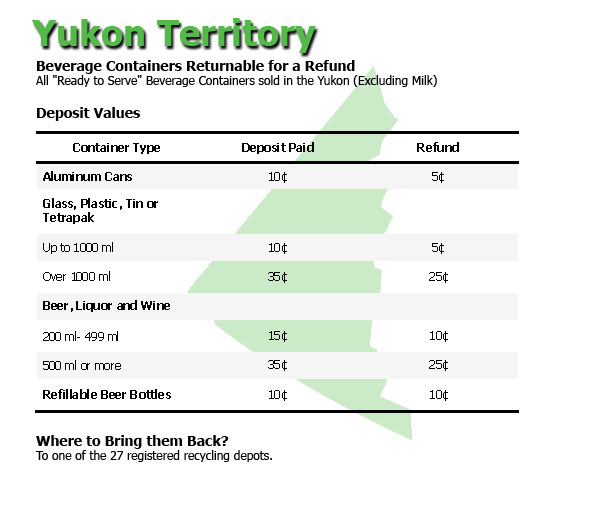 When you return your empty glass bottles, not only do you benefit financially with a 5¢ – 25¢ refund per bottle, but you have a reason to feel good knowing that you've taken it upon yourself to initiate an environmentally-friendly action. 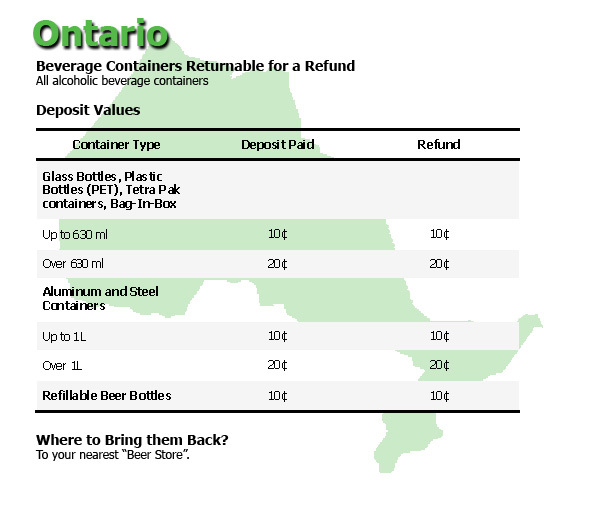 Bottle return centres give you cash for each bottle you bring back. 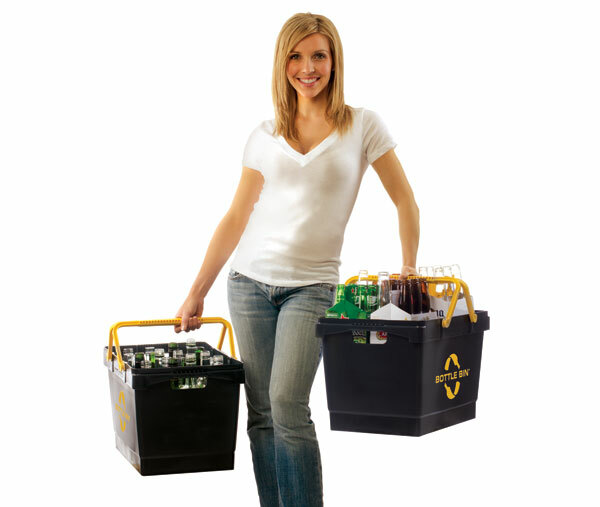 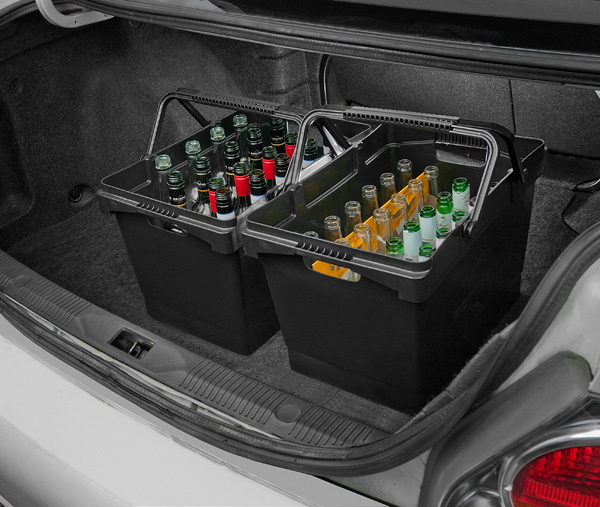 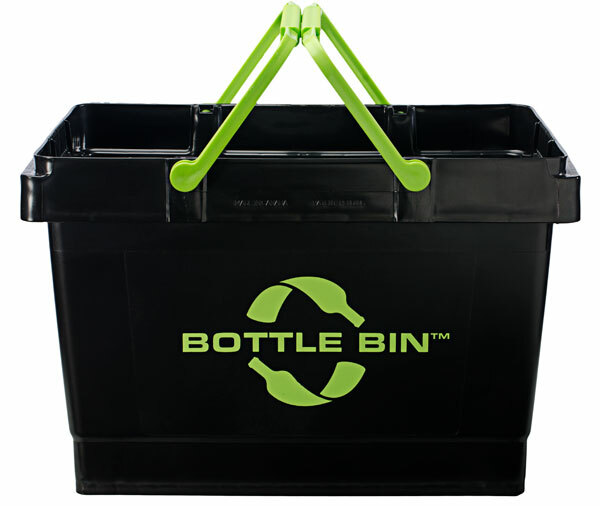 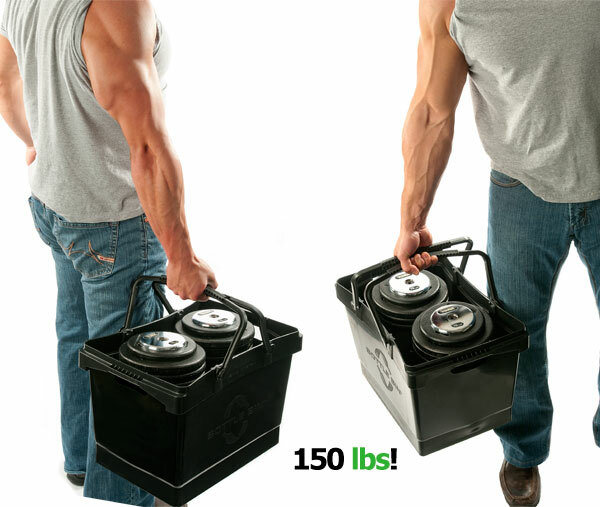 Watch the Bottle Bin pitch on CBC's hit TV show Dragons' Den! 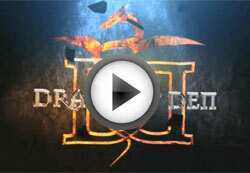 Over 2.3 Million Canadians tuned in to see the Bottle Bin Team slay the Dragons and land new investor Jim Treliving. 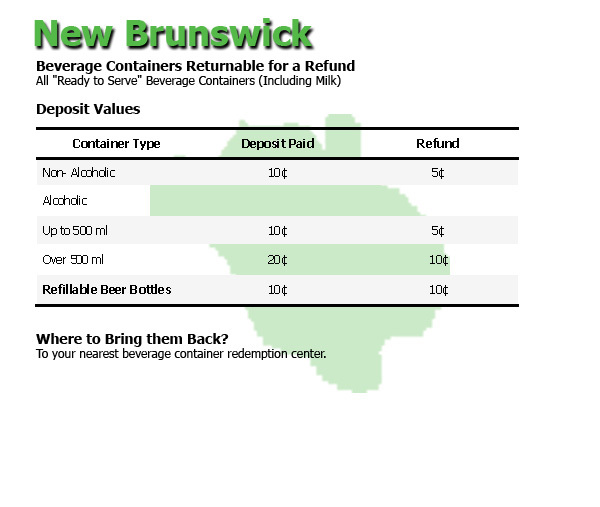 After empty glass bottles are returned to your local beverage container redemption centre, they are shipped to a glass reprocessing plant. 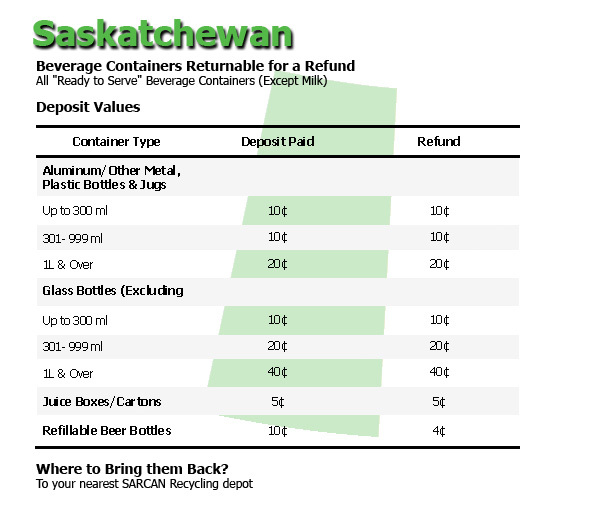 Once the bottles arrive, they are sorted by colour and crushed into small pieces referred to as cullet. 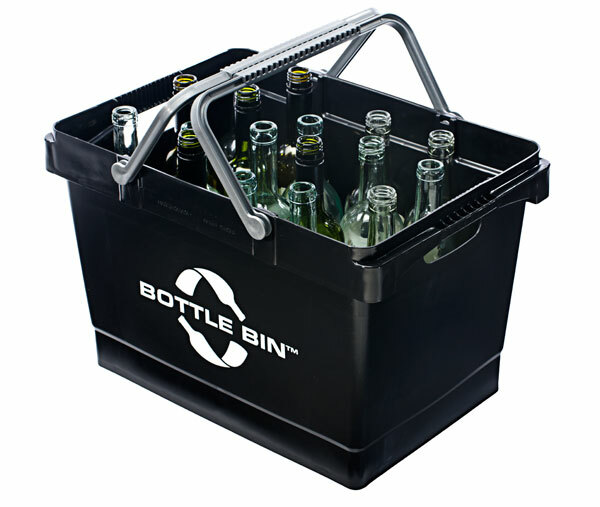 The cullet is melted in a hot furnace and then molded or pressed into brand new bottles and jars. 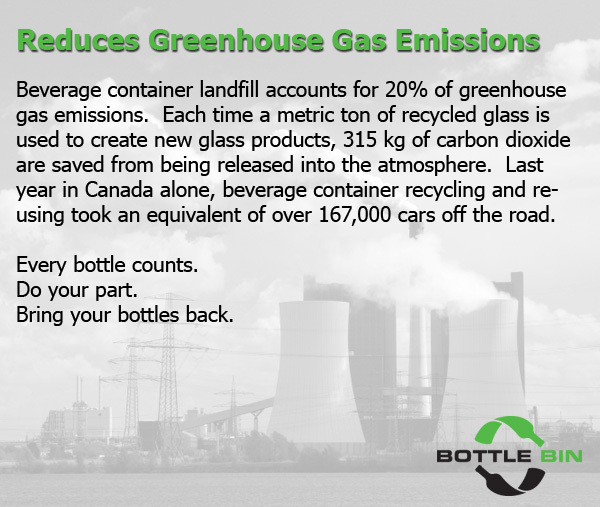 In just 30 days, a glass bottle can be consumed, returned, and back on the store shelf in its new form. 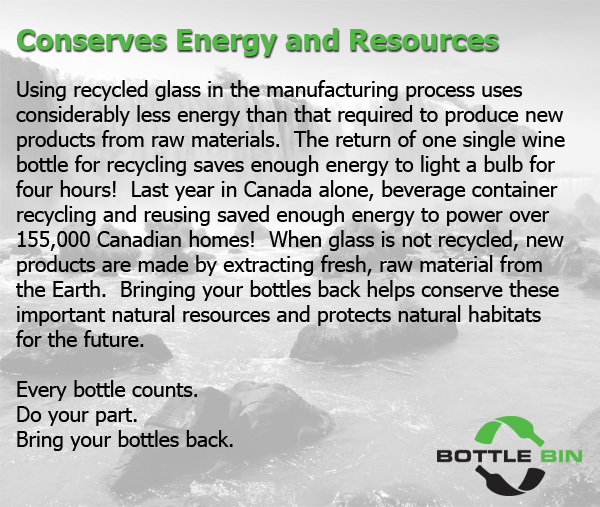 Glass is 100% recyclable and can be endlessly reprocessed with no loss of quality, purity or strength. 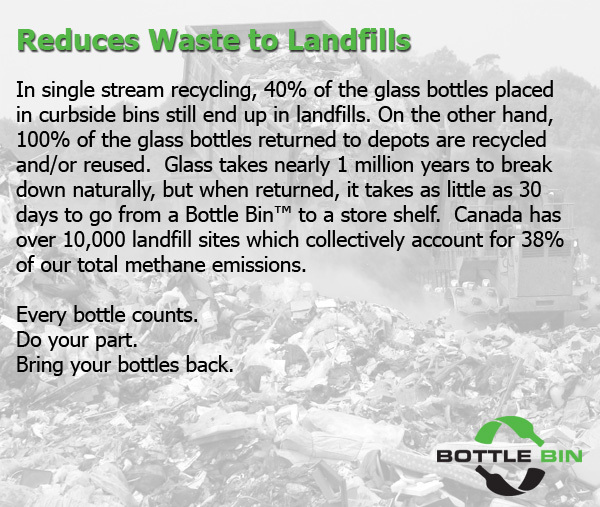 Watch the video on the left to learn more about the glass recycling process. 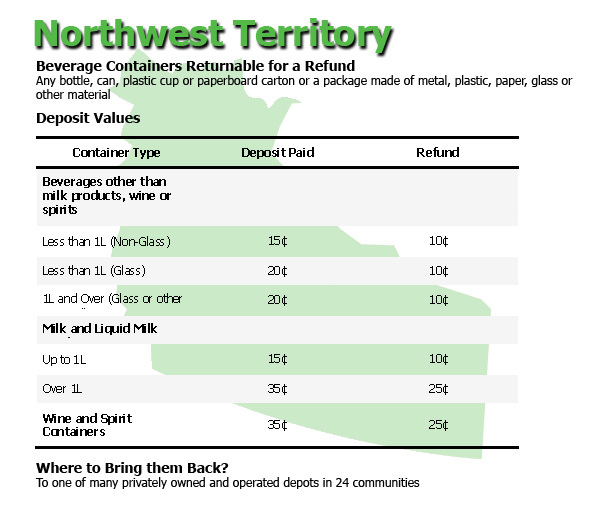 Click on your province to see program details and deposit values.